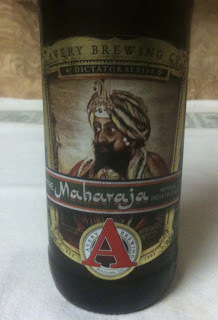 My Saturday night beer will be The Maharaja Imperial IPA from Avery Brewing Company. The 1 pint, 6 ounce bottle shows 10.17% ABV and 102 IBUs. This IPA poured with a medium, creamy colored head. Beer color is a nice copper. There is some very fine sediment moving around in the glass. 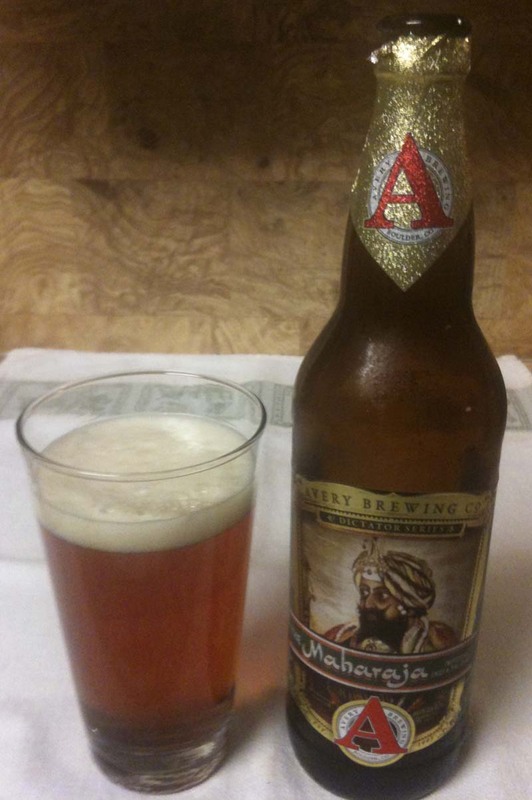 Medium aroma; mainly citrus with lemon, orange, grapefruit. Aroma is not overpowering, just smooth, sweet and a hint of bite. The taste hits you with some malt, followed quickly with citrus and a grapefruit-like bitterness. Maybe a little pine. Caramel. Some sweetness. Definite warmth from the higher alcohol. Dry finish. Leaves you with a dry, somewhat bitter aftertaste. Nice Imperial IPA - maybe a little sweeter than most.